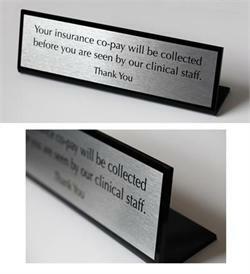 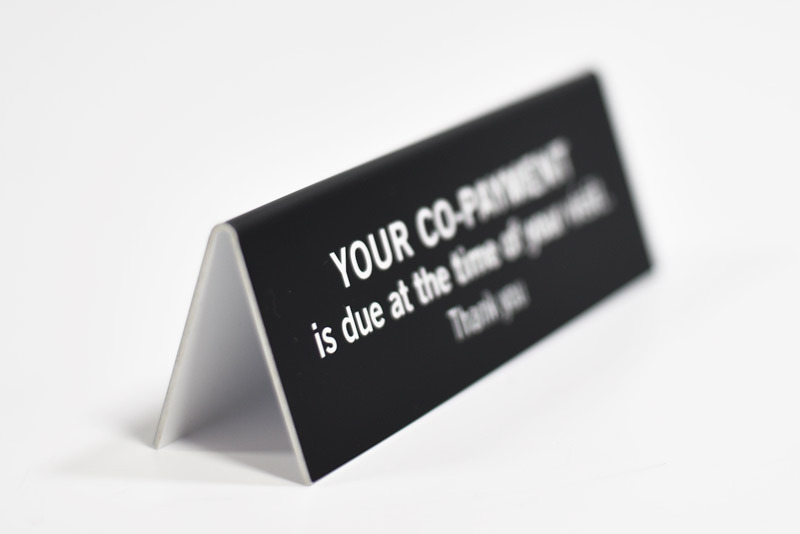 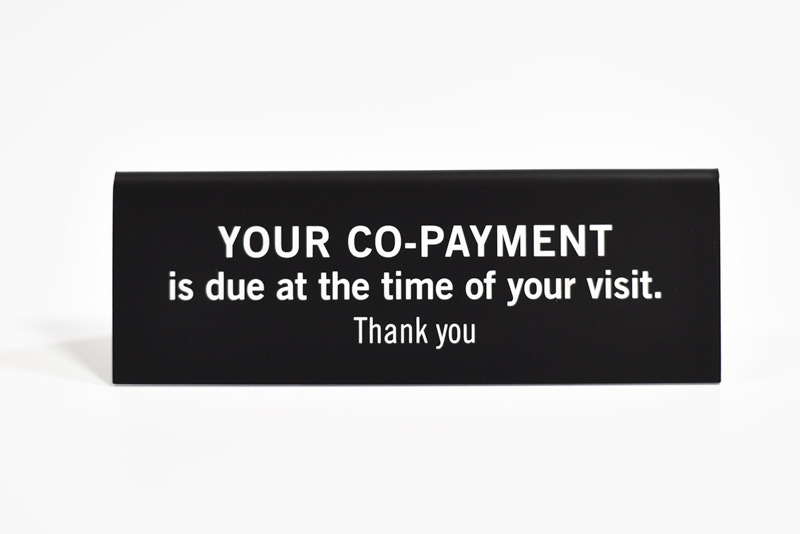 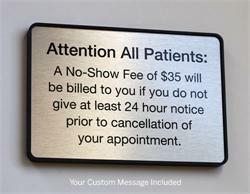 Double-sided copay signs are the ideal professional looking solution for reception desks and check in windows at your clinic, hospital, or medical facility. 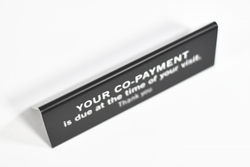 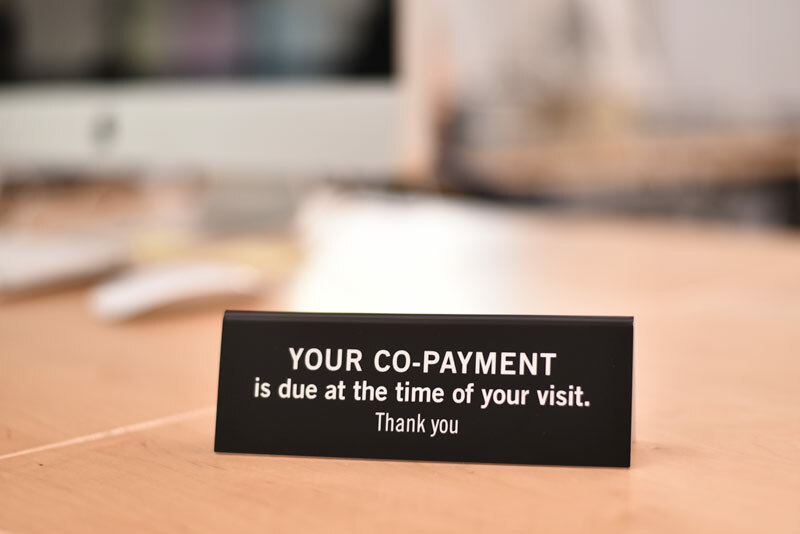 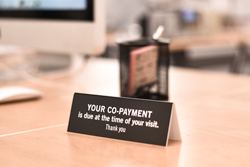 Include a custom co-pay message on one side with details about co-pay policies at your facility and an "away" message on the other such as "Next Window Please" or "Back in 10 Minutes" when one window is closed or you have to step away from your desk. 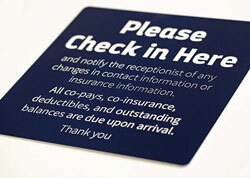 Laser engraved signs measure 6"W x 2"H or 8.75"W x 3"H and are available in a wide variety of two-color combinations. 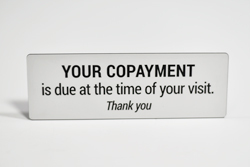 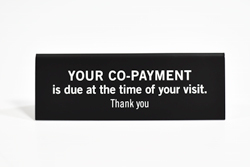 Order sign with standard co-pay message that reads "YOUR CO-PAYMENT is due at the time of your visit. Thank you" or customize with your own text to suit the needs of your establishment. 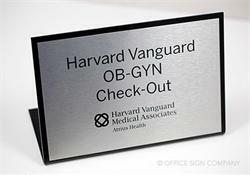 Don't see the size you are looking for? 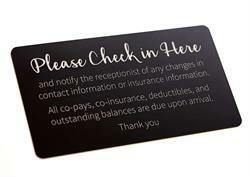 Contact our customer service team via e-mail at service@officesigncompany.com or via phone at (701) 526-3835 with all of your details and they will send you a quote for exactly what you need.